If you are looking for construction that seamlessly blends with the landscaping of your garden, and compliments and enhances the existing structures on your property, then you have come to the right place. We are a complete landscape construction company that specializes in retaining walls and brick/paver patios and walkways. We also do lawn/mulch installation, Bobcat work, fencing, and hauling. 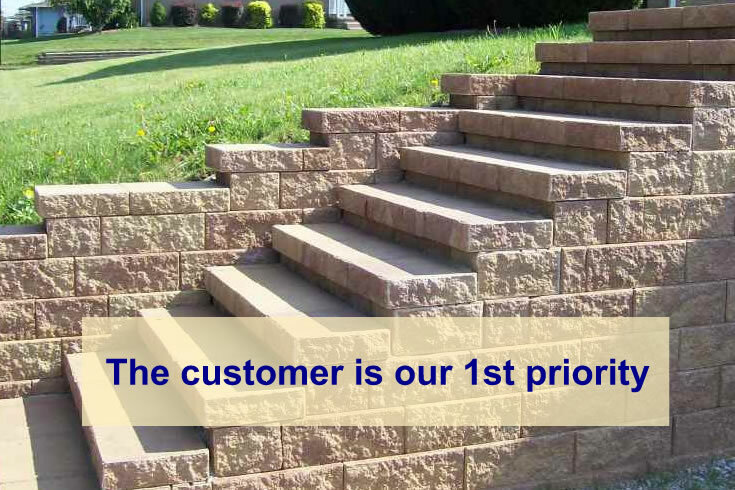 We take pride in our work & go above and beyond to satisfy the customer. The passion and professionalism which we bring to our trade is the reason we have had countless professional successes throughout the many years we have been in business, and it is why we are the leaders of landscape construction in Summit County, Ohio. We’re very well established, especially for Akron Landscaping, Canton Landscaping, North Canton Landscaping and Green Ohio Landscaping. Each of our employees is ICPI certified for the Interlocking Concrete Pavement Institute. You will be able to see in the work that we do for you, our care and skill with what we do. We are confident you will enjoy the experience of working with us, and that you will be more than happy with the final product.